Manama The Labour Market Regulatory Authority (LMRA) will start issuing two types of flexible work permits for expatriates. LMRA Chief Executive Officer Ausamah Al Absi announced the move as he received Indian Ambassador to Bahrain Alok Kumar. Al Absi, also Head of National Committee for Combating Trafficking in Persons, said that 2000 Flexi work permits and Hospitality work permits would be issued monthly – for a two-year period for two professions only. “The Hospitality flexi-work permits are for expatriates who work in restaurants, hotels, salons and other professions requiring special medical test,” he said. The beneficiaries under the flexi-scheme will be issued with a special card featuring the worker’s photo, data, type of permit and its period of validity. Al Absi highlighted Bahrain’s keenness on protecting expatriate workers’ rights and its efforts over the past years to enhance the work environment. 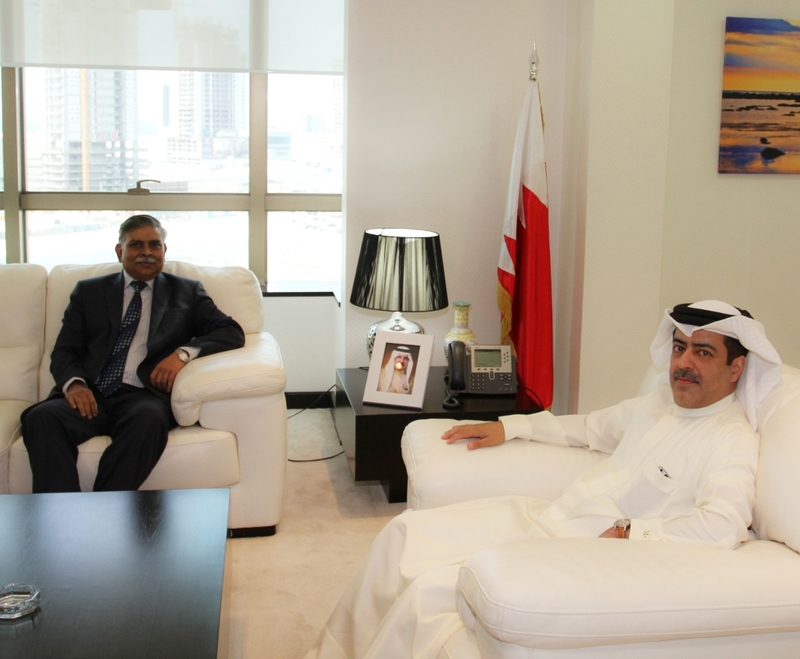 He urged the Indian envoy to cooperate with Bahrain’s efforts to protect expatriates from exploitation or human trafficking and preserve their rights. The ambassador said that the embassy will fully cooperate with the LMRA officials and urged the illegal Indian workers to regulate their situation and benefit from flex-work permit format. This entry was posted in Daily Tribune and tagged Ausamah Al Absi, Expatriates, flexible work permits, Indian Ambassador, photo by Labour Market Regulatory Authority. Bookmark the permalink. Can I avail this program? My visa was issued last April 10 .2017 and it will end on April 10,2018.. but I want to avail this flexible work permit.. what will I do? Hi. .what I have to do to get the flexible work permit. I’m working in a restaurant. Is it possible to convert visit Visa into work visa please explain? Hi sir I came pakistan my sponsor canceled my visa I need flexible work visa.i don’t know how can apply flexible work visa. Kindly contact Flexi permit call center on +973 17 103 103, or you can visit lmra website : http://www.lmra.bh to clarify your issue. I would like to know if the person is in india can apply for flexi visa, I was working in Bahrain till 2014, now I am residing India wanted to come back to bahrain for job. if i am a holder of hospitality flexi permit can i work as a transport driver? will it be legal ? Hi can you please help me how to know if I’m finish my contract with two years then I want to go home and my employer not allow me to go.what can I do? Please I want to go home because I’m more than 3 years and 7 months here.please help me….. When bangladesh visa problem will b fixed? You can visit http://lmra.bh/portal/en/express_services/index to check your status. This issue is not related to LMRA . We advise you to contact your embassy.